What’s the difference between a three-season and four-season porch? Besides the obvious answer (one season!) there are a few more details it’s helpful to know. Here in Madison, WI, three-season porches are typically used from May through October. 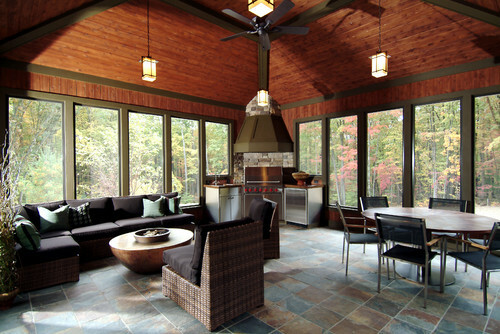 Screen windows allow breezes and sunshine in while keeping insects and the harsher elements outside. 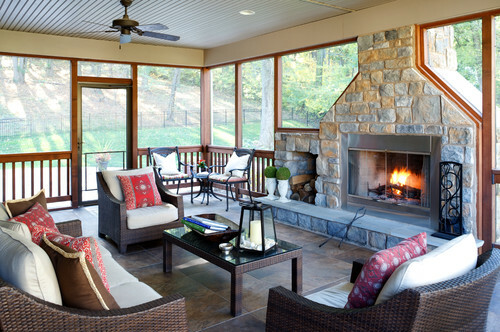 A four-season porch would have the insulation and duct work necessary to make the room cozy and practical year round, including chilly winter months. It provides additional interior space, essentially extending the footprint of your home. 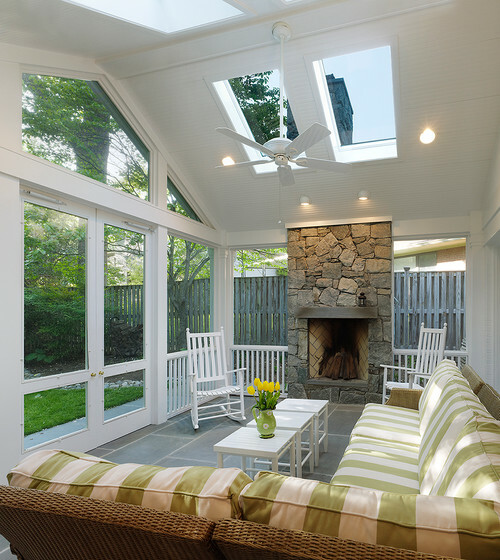 Rustic Porch by Cary Interior Designers & Decorators IWS DESIGN GROUP, INC.